As a study abroad student or solo traveler, your pre-trip preparation is a key element in ensuring your trip is enjoyable and productive. Once the airfare is booked and hotel or lodging sorted, next comes the heavy lifting. One of the first steps in your journey should be preparing for the financial resources of your trip. The key financial items that you need to protect while studying abroad or on school breaks are your passport, any required travel visas, and your money. This involves your cash as well as your Automatic Teller Machine (ATM), debit and credit cards that you plan to use while you are traveling. You also need to be concerned about how you will get local foreign currency via your ATM cards and currency exchanges when you arrive at your destination. Focusing on these issues, before you leave, will ensure that you are organized, will get the most for your money, and be able to safeguard, or at a minimum, deal with the most probable financial problems that may occur during your trip. Grab the ultimate safety accessory every study abroad student needs! It is a good idea to make two copies of important items like your passport, driver’s license, ATM, credit and debit cards and leave one copy at home with someone you can reach in an emergency. Keep the other set with you in a safe place, separate from the originals. Make use of the cloud by taking a photograph of your important documents and send them to yourself in an email. You can also keep them on your smartphone as long as you keep it password-protected. This will allow you to access this information if you lose the originals and need to acquire a new passport from your Embassy, to provide specific credit card and ATM card details to the financial companies to shut off these cards and possibly issue emergency cards which many will deliver to you in the foreign country via courier service or via UPS/FEDEX. Study Abroad Students – Securing Your Valuables please! It is critical that you keep your passport, money, ATM, credit and debit cards in a secure location during transit. Avoid putting all your valuables into a purse, which can be easily snatched, or in a backpack, which can be accessed without your knowledge. If you carry a wallet, keep it in your front pocket so you can limit access and avoid all but the best pickpockets. Often, the best option is a money pouch that stays on your body all the time while you’re in transit. You can wear a money pouch that can be concealed under your clothing – attached to your belt or worn around the neck, waist or calf. These pouches are particularly useful if you are on an airplane, in a train, using public transportation (buses and subways) as well as when you are staying in a hotel that is not very secure. These money pouches are relatively inexpensive, can be purchased online, and provide a piece of mind. ATMs, money changers, and banks all have at least one thing in common – this is where people go to get money. Every time you are near money or are about to use it or retrieve it you are potentially in danger. Every criminal in the world knows that banks, currency exchanges, and ATMs are where the money is and they are specifically targeting you to separate you from your money. You need to be extremely cautious when you are near these locations. Just as antelope are very wary when they are near the waterhole. The lions are waiting. If you remember this, you will most likely make the right commons sense decisions and protect yourself when you are doing any financial transactions abroad. If you have not done this prior to your flight, most airports have a currency exchange where you can get some foreign currency. Unfortunately, in most cases, these exchanges do not give you a good rate. 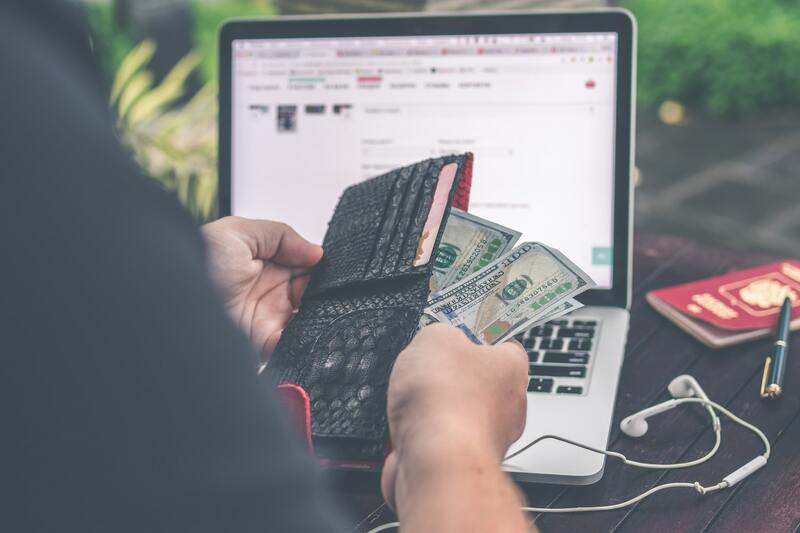 Only change the minimum amount of dollars to local currency that you will need to get you to your next destination where you can arrange to use a reputable exchange service or an ATM. Research the most reputable exchange centers/money changers or ask the clerk at your hotel when you arrive at your destination. If possible avoid small money changers as they may try to cheat you, give you counterfeit bills, or set you up for robbery after leaving. Also, avoid using black market currency exchanges as you may be breaking local laws and you have no recourse if the money they give you is counterfeit. In general, foreign ATMs give the best exchange rate but you will need to factor in the service charge at the ATM as well as any service charges associated with your bank. If you work with your bank you may be able to get an ATM card that does not charge foreign transaction service charges. If possible pick out the ATMs you plan to use in advance, based on their proximity to security elements (good lighting, in plain view, in a mall). Avoid ATMs at night or in locations that are out of the way/off the beaten path, or in fringe areas. If the ATM has locking door system, make sure you are the only one in the vestibule and take a second or two to observe the area before exiting. If you see something you do not like – don’t exit. Wait and if necessary use your cellphone to contact security/police. Just the activity of calling on your cell may be enough to discourage would be robbers to leave the area. If you drive to an ATM, do not leave your car running while you step out to get your cash. You may lose more than what you took out of the machine. At drive-thru ATMs, keep your doors locked and your head on a swivel. Never leave your vehicle running. When you use an ATM, try to go in pairs so that you have someone watching your back, and to prevent anyone from looking over your shoulder to get your pin. Decide not to get a receipt or take the receipt with you as it may have information on it that you do not want other people to see (bank balance, how much you withdrew, etc.). Do not use an ATM if it does not look in perfect working order – many of these machines have been tampered with (skimmers added) or have had their cameras damaged to prevent identification of robbers. Get your transaction done as quickly as possible and then immediately leave the area for a more secure location. You now have a “bullseye” on your back and there may be thieves waiting to catch you in less secure area to relieve you of your money. Just like cash, your ATM is a valuable item and needs to be protected. Do not put your ATM pin on your card or in your wallet. If you lose an ATM or credit card, immediately contact your financial institution to cancel the card. This will prevent their use by anyone who finds them and will assure that if someone did use the card, the financial institution can prevent further use and you will not be liable for the charges. – Loss Limits: Like credit cards, federal law limits your liability for fraudulent transactions on a debit card to $50 but only if you notify your financial institution within two days of discovering the theft. If you don’t check your bank statements for a couple of months, you could lose everything. – Pay Now/Reimburse Later: If someone has fraudulently used your credit card, you don’t have to pay the charge. But fraud with a debit card, the money comes directly out of your account in real time. That means you’re out the money until the bank does an examination of their records to investigate your fraud claim. This can take several weeks. – Merchant Disputes: The same problem affects merchant disputes. If you pay with a credit card when ordering something online, and that product comes damaged, broken or not at all, you can dispute the charge and stop payment with your credit card. If you used your debit card, the charge is paid when you made the order. By the time you find out the goods weren’t what was advertised, the merchant has your cash and you have to fight to get your money back. – Phantom Charges: If you use a credit card at a hotel, they take an imprint when you check in, but don’t charge your card until you check out. It’s different with a debit card. Generally, hotels will put a “hold” on funds in your account for more than you’re spending. They hold the full amount of your stay, plus an estimated amount for “incidentals,” such as meals at the hotel restaurant and dipping into the mini-bar. This is not an actual charge–the hold will come off your account at the end of your stay. But it affects the available balance in your checking account anyway and can lead to overdrafts. These “holds” are common for debit card transactions at hotels, gas stations and rental car companies. – Overdrafts: Overdraft charges have been soaring in recent years and for the vast majority of consumers these overdrafts were the result of a debit card transaction. Don’t assume that if you don’t have sufficient funds in your accounts, your bank won’t approve a debit swipe. – Skimming: Financial crooks have gotten sophisticated in recent years and are using “skimming” machines to read your card data and charge your account. When your debit card is skimmed, your bank account can be drained before you know that you’ve been had. Notify your credit card companies that you are traveling and note the countries so their fraud departments do not freeze your accounts inadvertently. Your bank can also protect you from unauthorized activity in foreign countries that you are not traveling to. Most US credit cards will charge a foreign transaction fee but you can arrange to get cards that waive this fee. Do your research to determine if credit card use is discouraged at your travel destination due to extensive credit card fraud. There are some countries where credit cards should not be used at all and other countries where they should only be used at hotels and major department stores. In some countries, the hotels may require that you use a credit card to pay the hotel bill. Try to avoid carrying all your valuables in one place other than when you have it in your money pouch. Keep a small amount of local currency in an easily accessible pocket or pouch so that when you need to make a purchase you are not flashing your cash or showing the location of your money pouch. You may also want to keep a backup credit or debit card in a separate pocket. Another option in high-risk areas like Brazil is the use of a dummy wallet filled with expired credit cards and a few bills that you can give up if robbed or toss to the ground as a diversion allowing you to escape. Following these recommendations will help you get your financial items in order prior to your trip. They will also help you keep these items secure while you are traveling, increase your safety when you make financial transactions, and help mitigate any financial mishaps that may occur as a study abroad student.